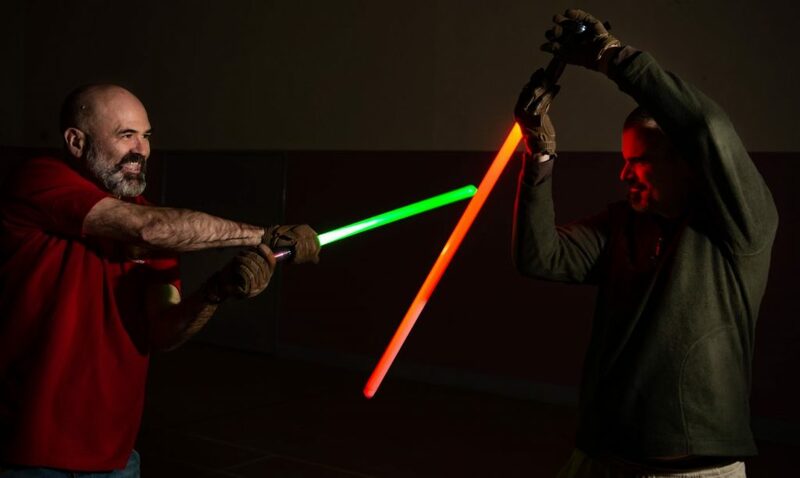 In a community center not so far away, Star Wars fans are battling it out like Jedi knights at a lightsaber combat academy. Intergalactic Saber Masters is believed to be the first martial arts school of its kind to teach members how to fight with lightsabers though the art of mindfulness. 45-year-old martial arts expert Dave Holden spends his Wednesday nights in Sileby, Leics, Britain, teaching his Padawans the art of lightsaber-battling, saying that the discipline is “akin to dance”. Holden, a dad-of-two who works as a cyber security analyst, said: “I have come from a martial arts background in HEMA [Historical European Martial Arts], but this is unlike other traditional martial arts like boxing and Karate. These skills are about 500 years old, like medieval sword play where there are moves and counter-moves. Every lesson starts with a mindfulness session to help students relax the mind and body in order to cope with the stresses of modern life. Dozens of people have started attended the intergalactic sparring sessions since they were set up as a small community project in 2016. “Mindfulness is about bringing yourself into the here-and-now rather than constantly thinking about what’s been going on during the day,” says Holden. “You’re spending the time thinking about yourself and relaxing mind and body. It’s all about control of your mind – just like a Jedi would. 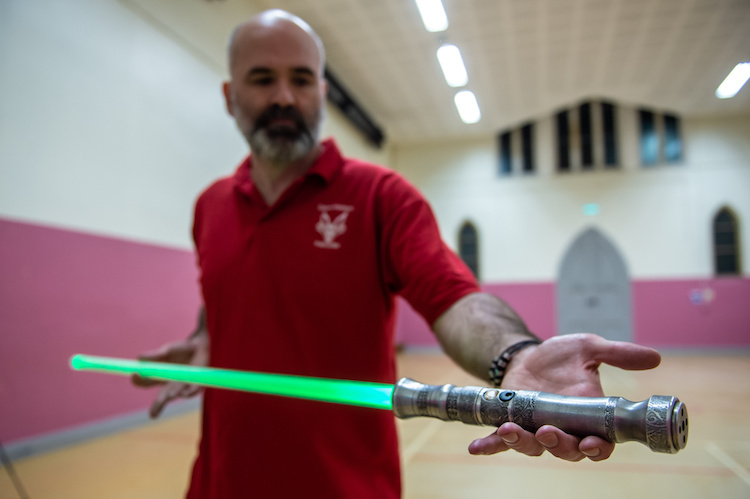 The hour-long sessions only cost about $8 (£6) per class with sabers provided. 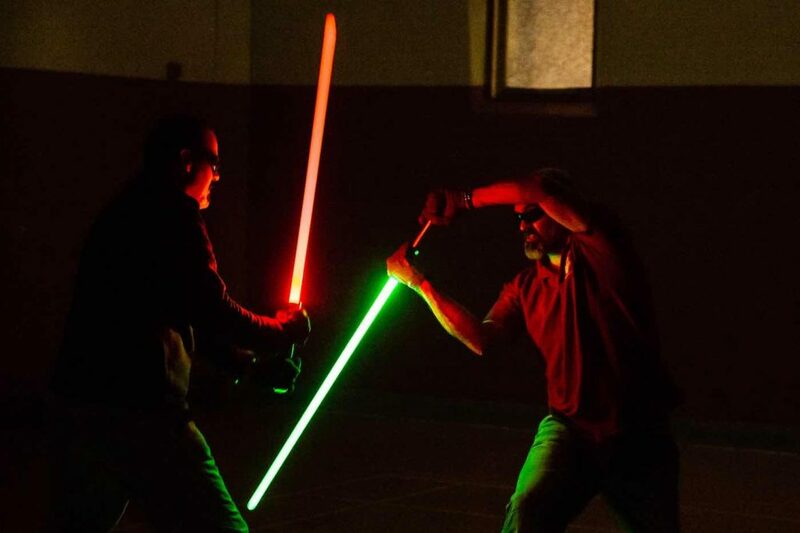 The school makes their own LED polycorbate sabers, which individually cost between $340 (£260) and $360 (£280) and come complete with sound effects. They also can leave bruises. However, the focus at this school is on the spiritual aspect—promoting mindfulness, rather than violence and conflict. 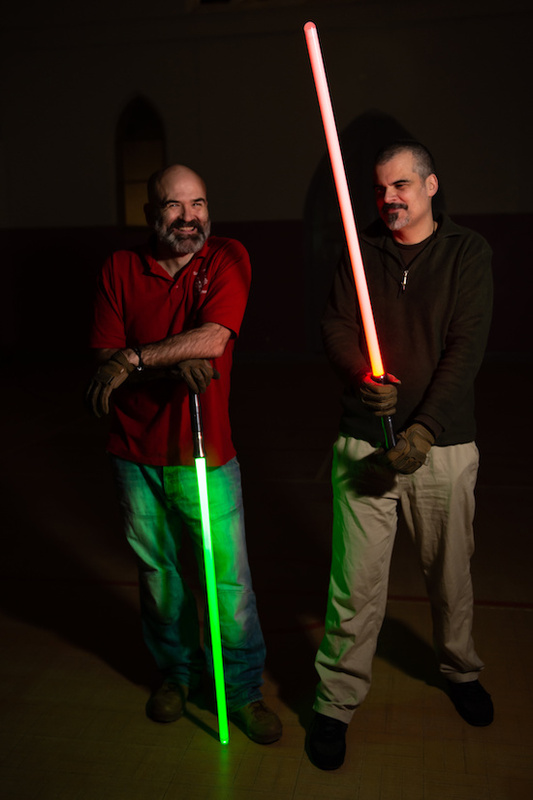 Mel Wilson, a psychology student who also works for Intergalactic Saber Masters, said: “There are a handful of lightsaber combat schools around, but I believe we are unique in our teaching.